The 2017 Cadillac CT6 serves as the latest attempt of Cadillac to resurge as the global leader in luxury vehicles. After it made its debut the previous year, CT6 has continued to set the standard as the top luxury sedan from GM. If you are looking for a luxury sedan, it is certainly and intriguing option that you can look into. Although it is priced like a midsize vehicle, it offers the qualities of a full-size model. The 2017 CT6 certainly proves its worth with upscale luxury and impressive driving dynamics. For 2017 model year, the car will remain more or less unchanged. The four primary trim levels of this vehicle include base model, Luxury trim, Premium Luxury trim and Platinum trim. With the base model, the standard equipment includes parking sensors, LED taillight and headlights, rear and front parking sensors. The makers have also added the features like heated mirrors, auto-dimming rearview mirror, power adjustable front seats, leather upholstery, dual-zone auto climate control and driver memory settings. Other standard technological features offered with 2017 Cadillac CT6 include CUE interface of Cadillac, 10.2-inch touchscreen display, voice controls, wireless charging, Bose sound system with eight speakers and satellite radio. Connectivity options include 4G LTE, Wi-Fi hotspot, USB charging ports, and smartphone connectivity with Android Auto and Apple CarPlay. Coming to the higher trims, Luxury trim adds features like auto parking system, front passenger memory settings, 360-degree parking camera, 10 speaker sound system and improved interior lighting. The Premium Luxury trim, on the other hand, adds head-up display and comes with upgraded gauge cluster. The Comfort and Enhanced Vision package is offered as standard with this trim. The top trim, Platinum, offers all the best features including 12-way power adjustable front seats, 8-way power rear seats and premium leather upholstery. 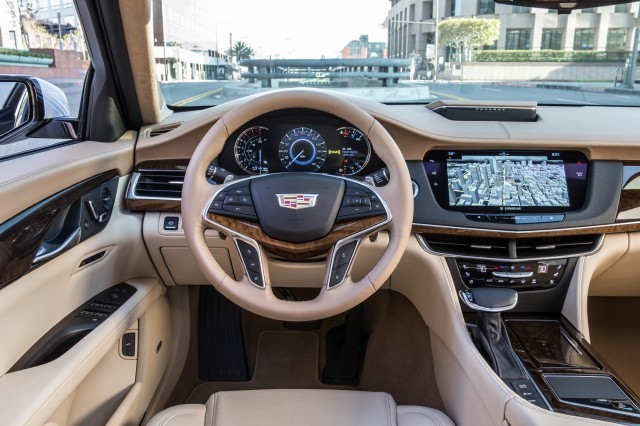 The interior of 2017 Cadillac CT6 is certainly amongst the finest of all vehicles. The upcoming model’s interior improves on the already great interior of present CT6. It surely takes luxury to an entirely different level with rich material quality, comprehensive technological offerings and well-styled dashboard. The overall design is surely more than you could expect from its price range. The bold color combination and schemes are impressive as well. The base and Luxury trims have a 2.0-liter turbocharged 4-cylinder unit as the standard engine and it is capable of generating 265 hp and 295 lb-ft of torque. 8-speed auto transmission and Real Wheel Drive also come as standard. 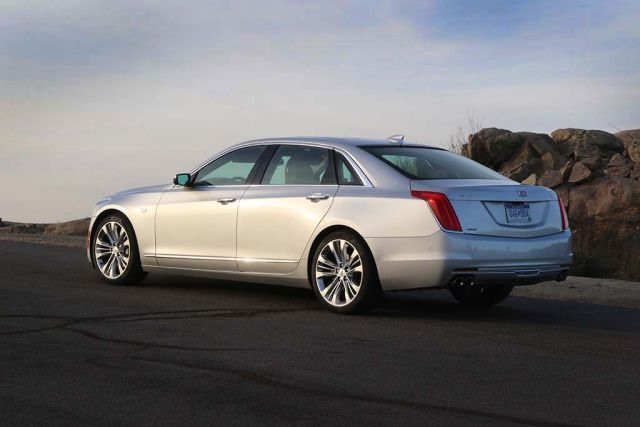 The other two engines offered with 2017 Cadillac CT6 are V6 units. These engines offered as standard on Premium Luxury and Platinum trims, while they are optional for the other two trims. The first V6 is a 3.5-liter unit with an output of 335 hp and 284 lb-ft of torque. The other one is a turbocharged 3.0-liter V6 unit, capable of generating 404 hp and 400 lb-ft of torque. 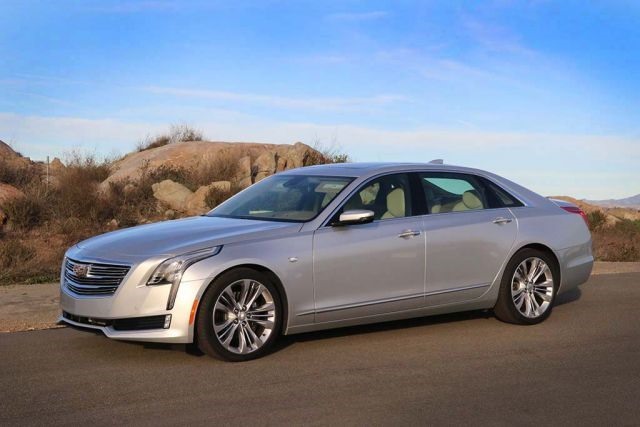 Available for purchase by the end of 2016, the Cadillac CT6 2017 will have a starting price of $53,495. Some main rivals include BMW 7 Series, Mercedes-Benz S-Class and Audi A8.